The workweek is done, and it's time for a drink! This week's featured Foodista Pinterest board, Bottoms Up, will give you a plethora of thirst-quenching choices to choose from. 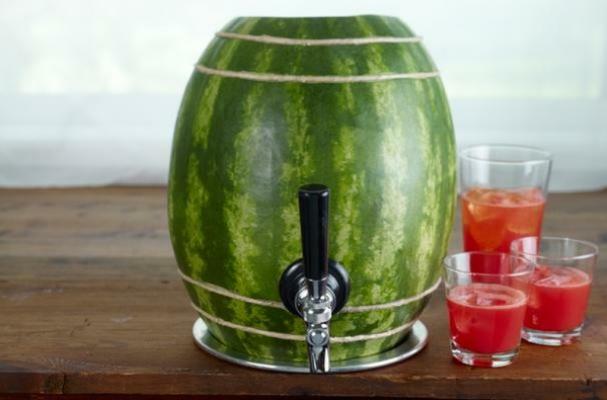 Discover the fun, (Tap a watermelon keg for summer cocktail excitement! ), the adventurous (Jack and Coke Slushy), or the downright disturbing (Rogue Ales' John Maier Uses Beard Follicles to Create Beer). You're sure to find something that you can get on "board" with. Do you have a drink-themed Pinterest board? If so, comment on one of our Bottoms Up pins with the link so we can check it out!